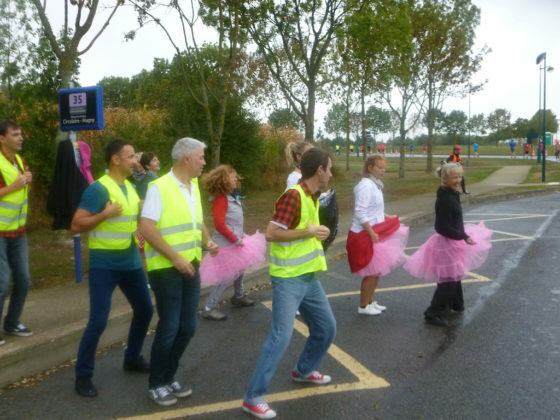 The third annual Disneyland Paris Magic Run Weekend was held 20-23 September 2018. 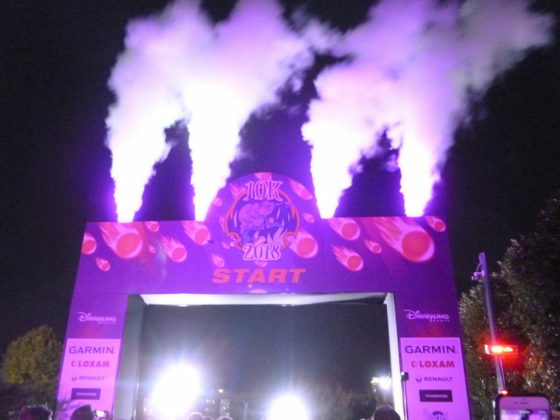 With an expo, 5K, 10K, half marathon, kids races, and 31K and 36K challenges the event has grown to include four days of activities for the entire family and runners of all abilities. 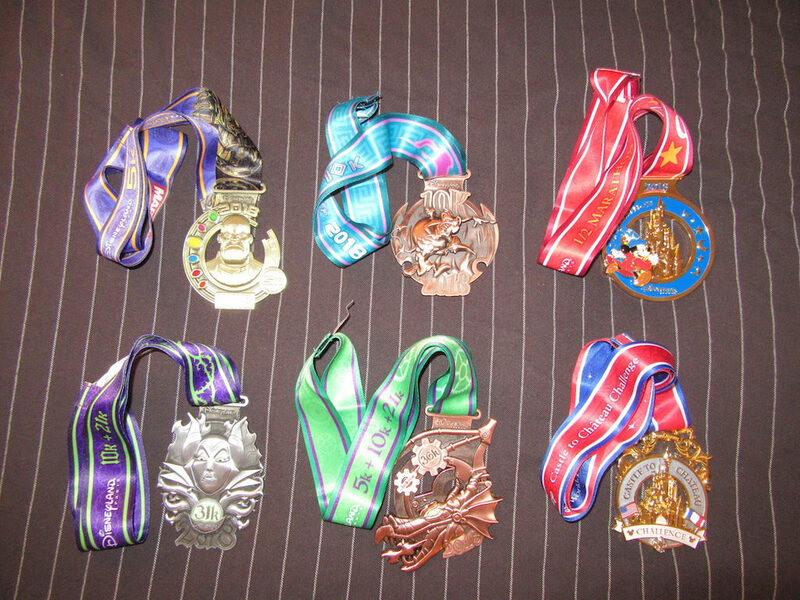 I competed in the 36K challenge, completing the 5K Friday night, 10K Saturday morning, and Half Marathon Sunday morning. 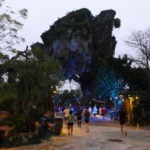 A new registration system was put in place this year, forgoing a third-party hosting site in favor of Disney’s own technology. Although there were some issues with the website crashing, the overall process was much smoother than expected and an improvement from previous years. The interface also allowed runners to quickly and easily update their information after the initial registration was complete. 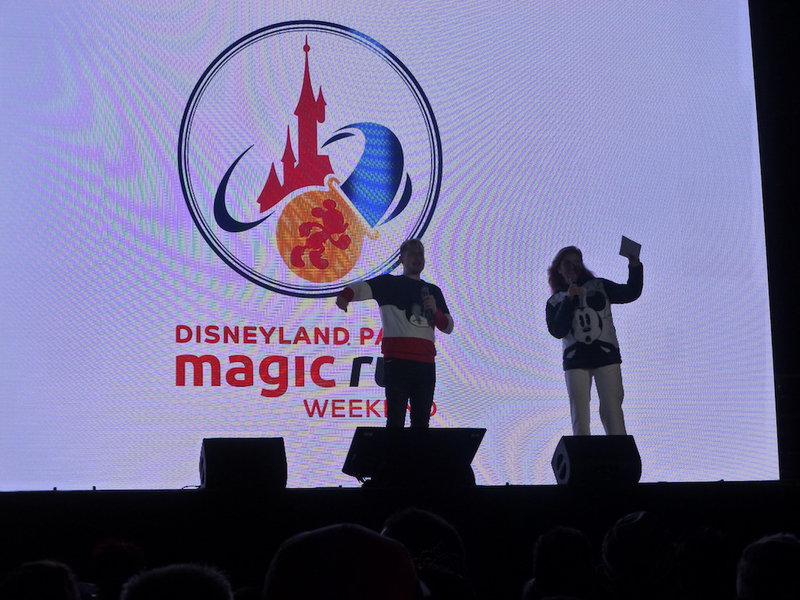 After arriving at the Disneyland Paris resort area late Thursday evening, we visited the expo during a midday break from the parks on Friday to pick up our packets. As has been the case for the two previous race weekends here, participants had almost no information about the logistics, schedule, or courses before arriving. An information sheet was handed to runners along with their bibs, but even that lacked information like when the staging area opens for each race and course maps. Only when writing this recap after returning home did I find an online event guide that had any sort of detail. 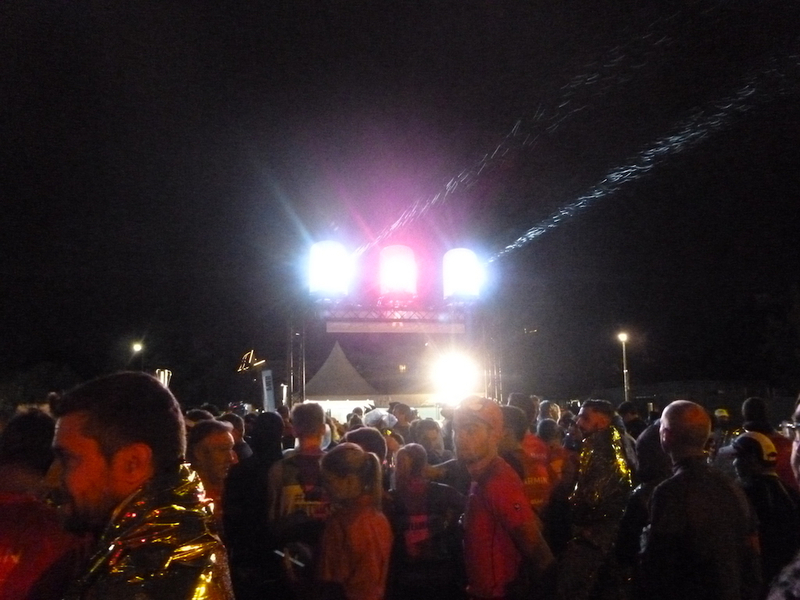 Although we arrived earlier in the day, some sizes of race shirts had already run out. This is one of the more frustrating experiences as a runner, particularly since this information is part of the registration process. If the event organizer knows exactly how many people of each size will be participating, there’s no reason that they should run out of certain sizes, especially before the majority of the crowds arrive at the expo. In a change this year, assignment of runners into corrals appeared to be entirely random. 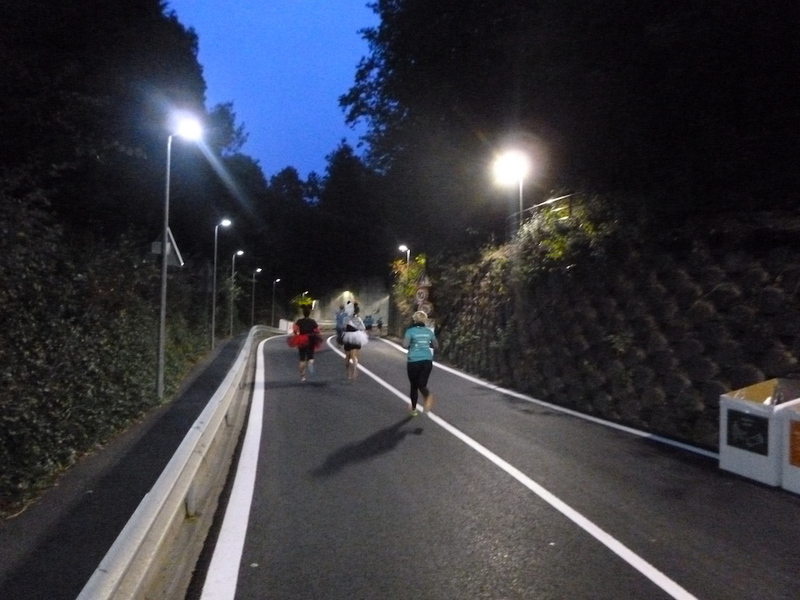 Some 3:30 half marathoners were placed in corral A, while some sub-2 hour runners were placed in E; there was no apparent rhyme or reason to the logic. In the past, runners have been seeded based on their anticipated finish times, with only the fastest runners (1:30 or less) needing to submit proof of previous finishes. 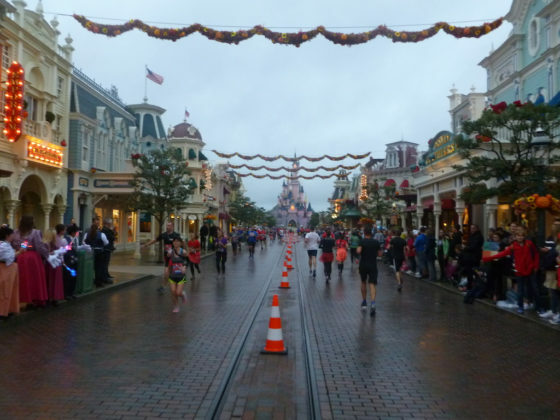 While the relatively small size of the Paris event means that a full-scale Proof of Time system similar to runDisney’s US races would probably be overkill, there should be some sort of logic as to which corrals runners are assigned to. 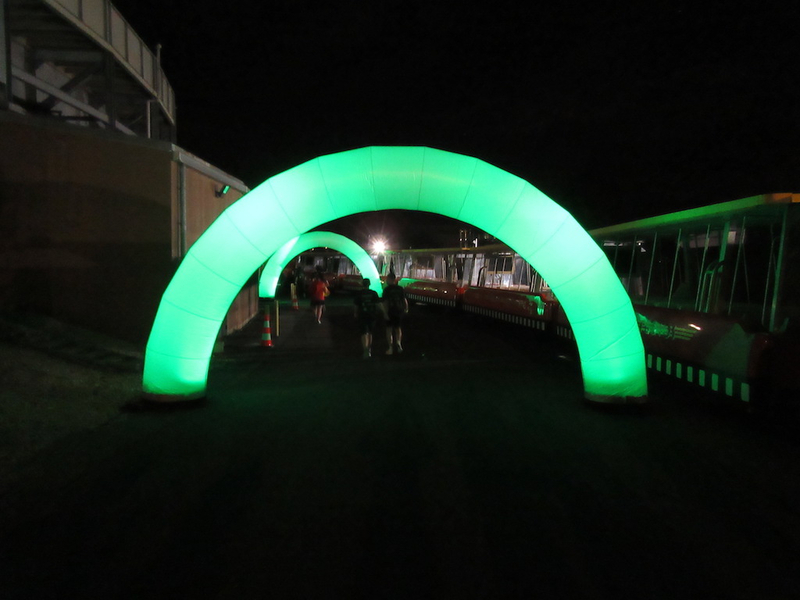 Friday evening’s 5K course began behind the Disney Events Arena, before heading into Disney Village and crossing the entrance plaza to Walt Disney Studios Park. 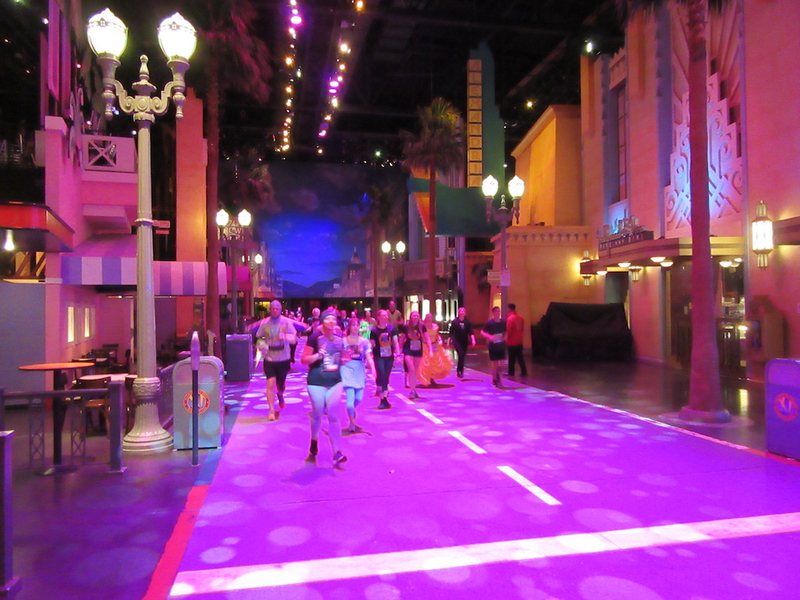 Entering through the park’s front gate, the course passed through Studio 1 and did a lap through the Toon Studios area, before using a backstage connection to Parc Disneyland. 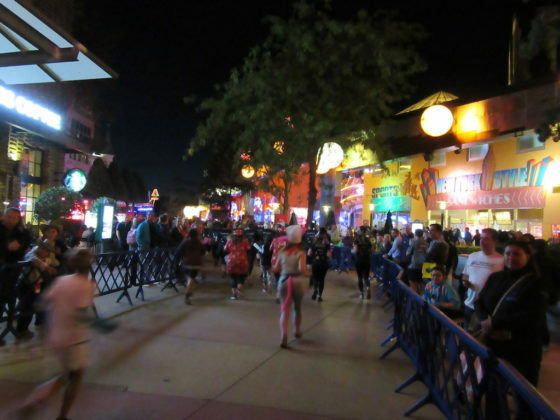 Runners rounded Rivers of America and briefly passed through Adventureland before returning backstage and following the Studio Tram Tour route, with a finish in front of Tower of Terror. The 5K had a backstory about collecting all the stones for the Infinity Gauntlet. 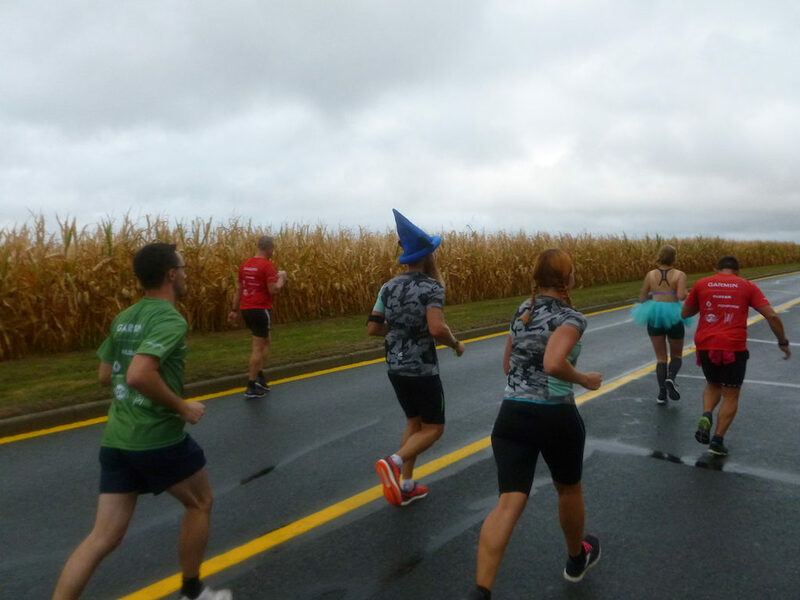 Banners representing each of the stones were scattered at irregular intervals around the course, so that runners would pass them all en route to the finish. However, it wasn’t clear whether these were supposed to be kilometer markers or simply decorations, which led to confusion among runners. It wasn’t until kilometer 4 that I first noticed a separate distance marker, at which point the race was practically over. 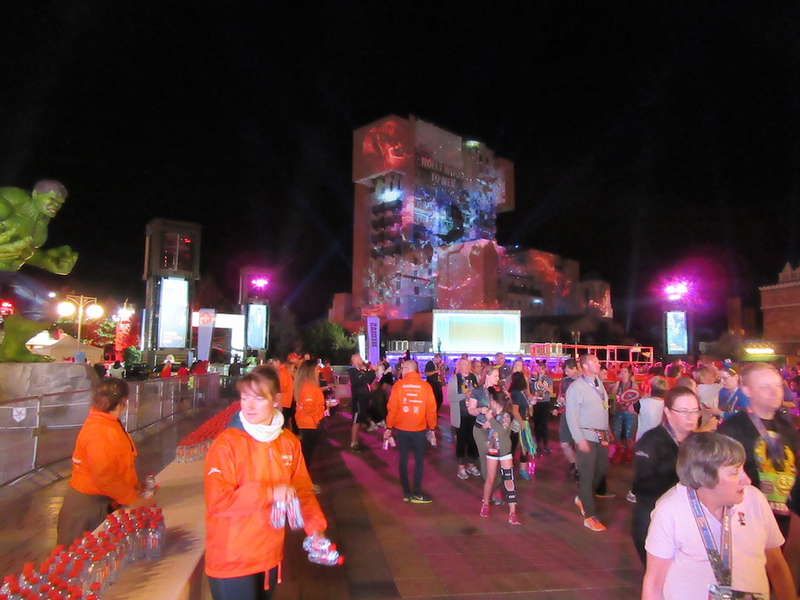 In a fun twist, the 5K passed through parts of Parc Disneyland while the Disney Illuminations nighttime show was in progress. 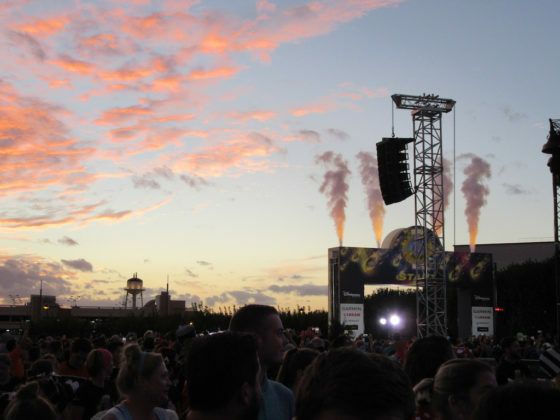 Although it obviously wasn’t a good view of the show itself, seeing fireworks over the tops of the buildings added another level of excitement to the race. Additionally, it was great that the course was revised this year to include parts of both parks, helping to get more distance in onstage areas. 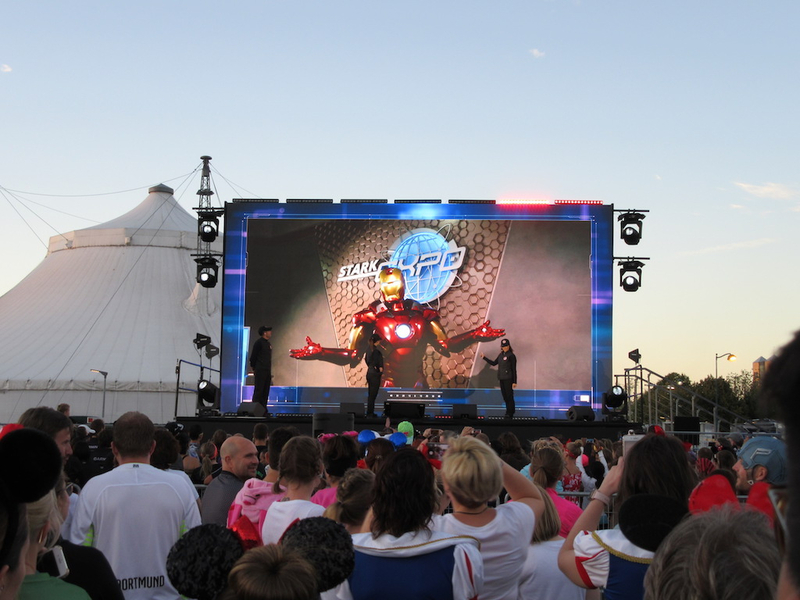 Similar to the former Avengers races in Anaheim, the 5K seemed to put an unnecessary burden on itself by only allowing Marvel characters on the course. Because of the limited number of characters available, this resulted in extremely long queues for photos. The queue for Black Panther was easily the longest I’ve seen in any race, stretching more than 100 yards of runners 3-4 abreast. Had some other characters been included as well, I think it would have helped distribute the load. Walking with friends, I finished the 5K in 52:41. 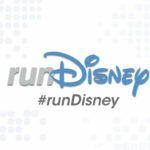 While neither a 5K nor 10K are especially long distances on their own, the short time between the two races makes them one of Disney’s more challenging events. With only 11 hours between race starts, there is not much time to rest once you factor in time to complete the 5K, get to/from the hotel, and get to the 10K staging area. Although I often run on back-to-back days as part of my regular routine, I almost never follow and evening run with one early in the morning. 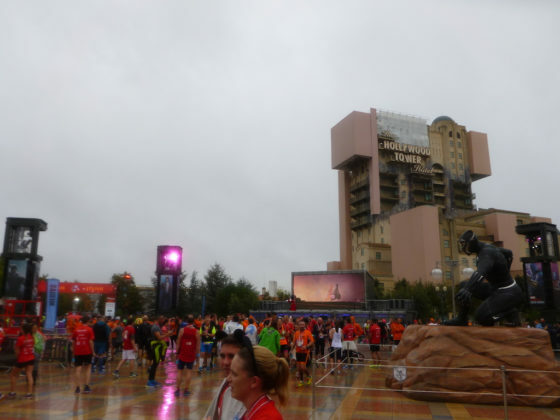 The 10K course began behind the Disney Events Arena and entered Walt Disney Studios Park, passing through the Toon Studios Area. 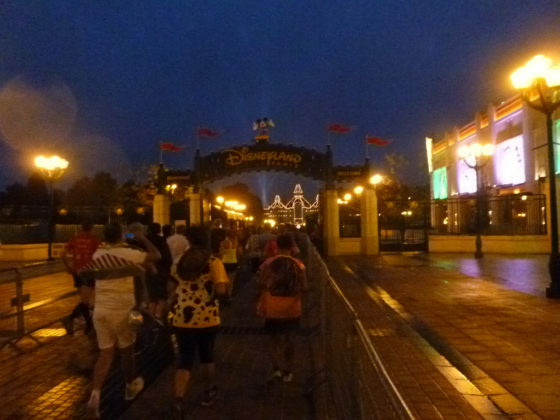 The course then returned to the main plaza area before entering Parc Disneyland’s front entrance, heading up Main Street, and looping through Discoveryland. 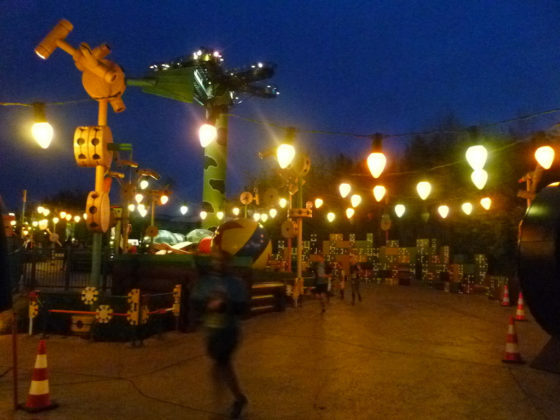 After winding through Fantasyland, including passing through the castle, the course wound around Frontierland and Adventureland before heading backstage. 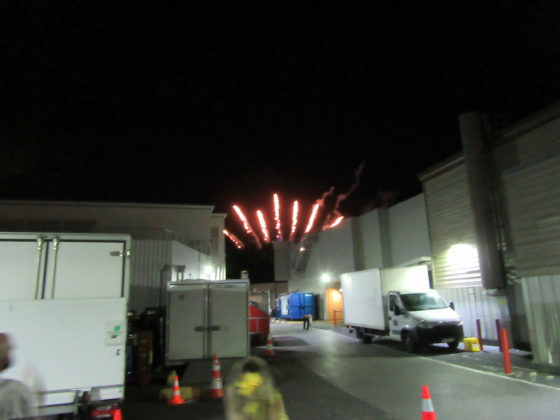 After covering a little distance on the Studio Tram Tour route, the course entered the park’s Backlot area and finished at the Production Courtyard. One of my favorite parts of the Disneyland Paris races is the pre-race calisthenics in the corrals. Filled with a variety of goofy stretches and aerobic moves, it’s always a fun way to get the morning started. While runners at the US races would be “too cool” to do the moves, it seems like most people actually participate in them, laughing through the whole thing. Since this race was themed to villain sidekicks, Pain and Panic assisted an instructor in leading the crowd in early morning stretches. To fit the theme, I dressed as Wiggins from Pocahontas, complete with an arrow-through-the-head headband. While I don’t think anybody recognized the specific reference, I got lots of great reactions from the cast members, volunteers, and on-course photographers. I knew it was a fairly obscure choice, but had a great time doing it anyway. In general, my approach for the 10K was to run at a comfortable pace and see what would be possible for the next day. With 10 days of travelling and sightseeing on my legs, and less than a week after running the Berlin Marathon, it was good to have a shakeout run to get my footing back. In all, I had a very pleasant race, but there weren’t many moments that particularly stand out; it was just a nice time. I finished the untimed event in 55:19. 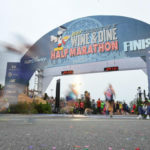 Sunday morning’s Half Marathon began in the parking lot behind the Disney Events Arena, before doing a loop through Toon Studios and around the back side of Walt Disney Studios Park. Runners then entered Adventureland and passed through Frontierland on the way to an out-and-back on Main Street around Town Square. The course then passed through Adventure Isle and wove through Fantasyland, before heading into Discoveryland and out of the park. 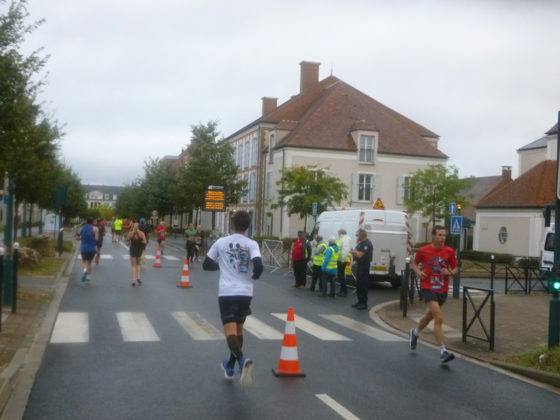 The course followed the Boulevard de l’Europe ring road around the resort to the town of Magny-le-Hongre, where it passed through a residential area on the way to a loop around a small lake. After an out-and-back along the ring road, the course returned to the resort area, passing through the grounds of Hotel Santa Fe and Hotel Cheyenne, looping around Lac Disney, cutting through Disney Village, and doing a final pass along the Studio Tram Tour to the finish line in the Production Courtyard. The morning started off drizzly, with a wet wait in the corrals. There was an unannounced delay in the race’s start, perhaps to let the drizzly weather clear. The rain stopped just moments before the wheelchair racers were released, and held off for most of the race. While it was a concern for each of the races, the first 100 yards of the course was especially troublesome during the half marathon. 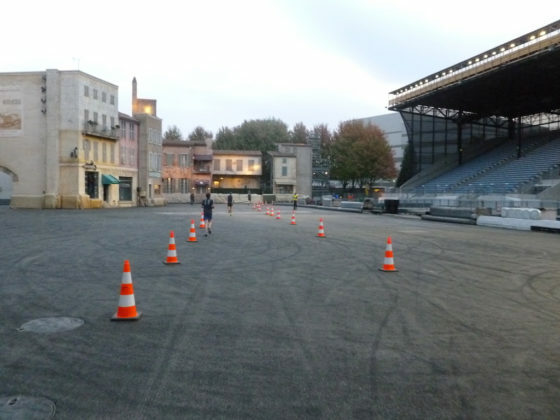 The course began through a narrow backstage road that included multiple sharp turns, grade changes, and tripping hazards. Since I started in the first wave of runners, everybody was jostling for space and speed while also battling the wet conditions; it was easily one of the most uncomfortable (and potentially dangerous) parts of any race I’ve ever been a part of. Additionally, the first timing mat was located after the first turn, about 50’ beyond the start line, which makes me question the accuracy of the course measurement. The early miles through the parks were lovely but fairly similar to the previous races. Since I started at the front and was able to maintain a steady pace, queues for character photos were practically non-existent, so I stopped for several along the way. Fitting the theme of the half marathon, the course was filled with villains both common and rare. 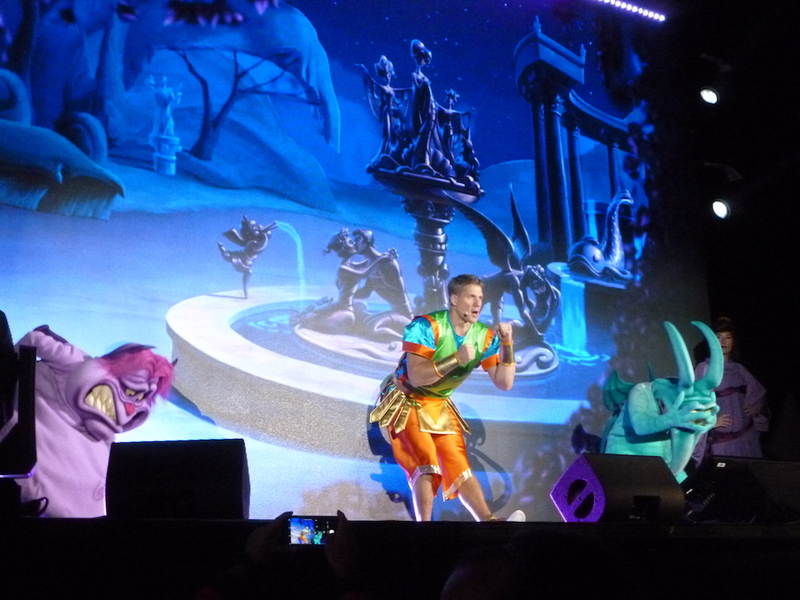 As is typical of the Disneyland Paris races, there was a really nice variety of films represented covering a very wide span. 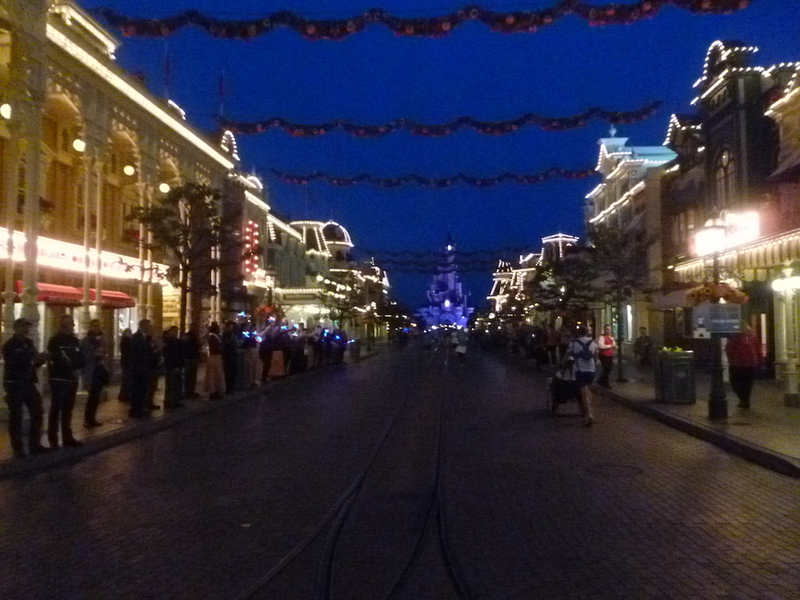 As lovely as the parks are, my favorite part began after heading out into the picturesque countryside. 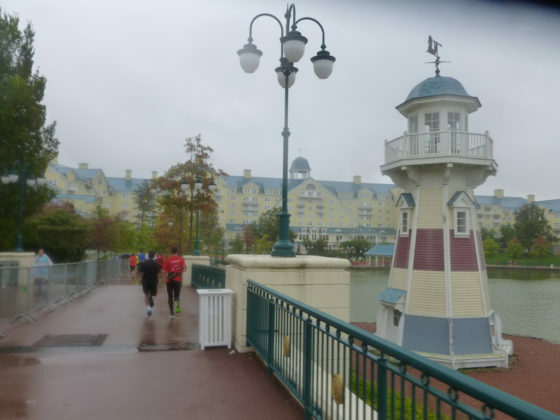 The Orlando races are known for their long stretches of tree-lined highways, and the Disneyland events had the self-proclaimed “scenic streets of Anaheim” (which were anything but), but Disneyland Paris truly has the best surroundings for running. The tree-lined boulevards flanked by agricultural space make for a genuinely pleasant race, and the little town full of little people popping out to say “Bonjour!” is always a highlight. I also enjoy the local entertainment acts and spectators, who bring a unique flavor to the course; my favorite was a group of middle-aged cancan dancers who seemed to be enjoying themselves just as much as I was. As I wound through the grounds of the Disney hotels, the wind started to pick up and it began to drizzle again. 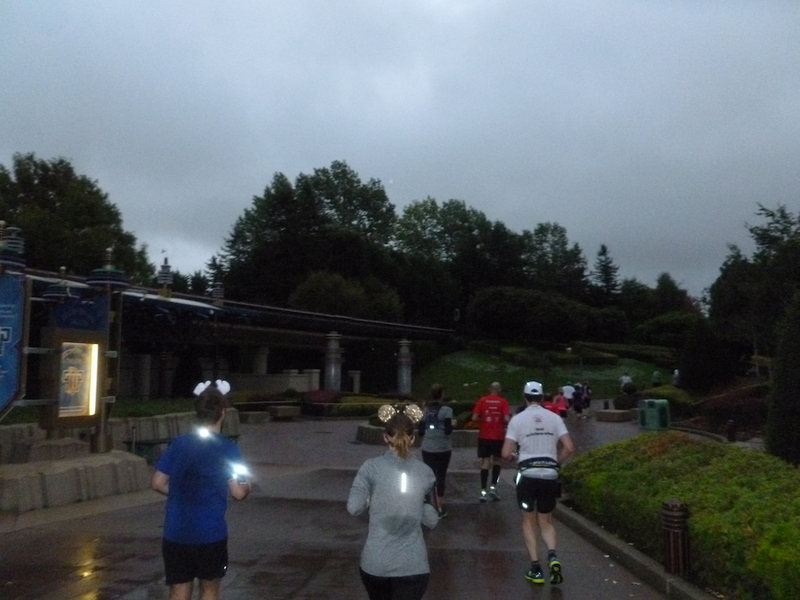 In previous years, the lap around Lac Disney has been a highlight of the course, with hotel guests cheering on runners as they make their morning trek to the parks; this year, I hit it right as the weather was at its worst. 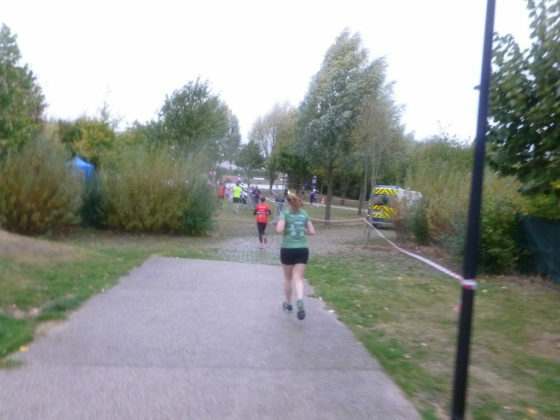 The open water did nothing to protect us from the conditions, and the few passersby were understandably not interested in stopping to encourage runners. Although the weather let up by the time I finished a few minutes later, the lap around the lake was particularly memorable. 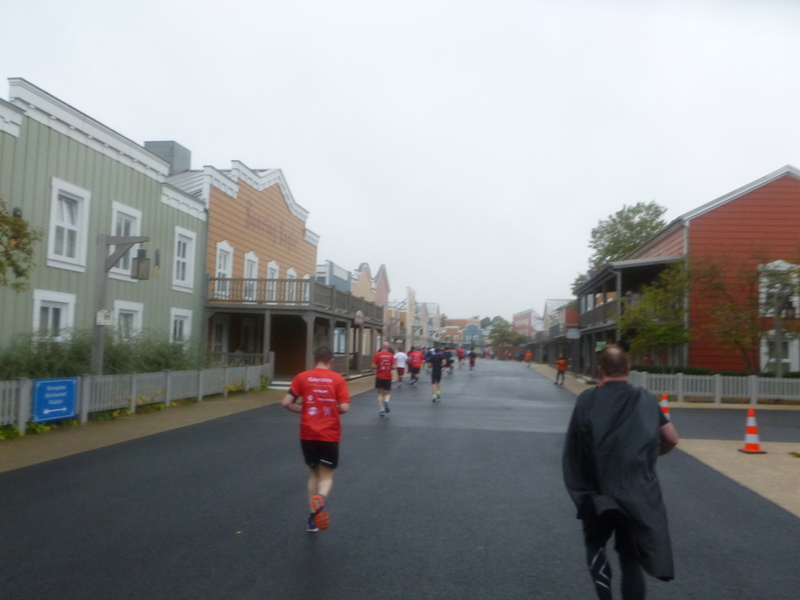 After a final sprint past the venues in Disney Village and a loop through the Studios park, I finished in 2:08:38. 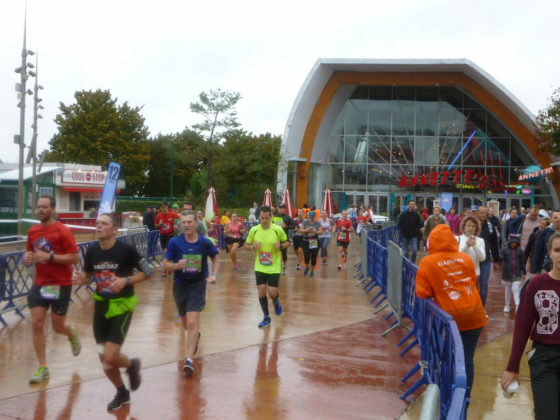 While the logistics of the Disneyland Paris continue to have annual issues, the races themselves are among the best I’ve ever run. From the time you cross the start line until you cross the finish line, they could very well be runDisney’s best. That said, the lack of pre-race information and disorganized expo are real detractors, especially for an event trying to attract an international crowd. If you’re willing to be a little flexible and roll with the punches, it’s definitely worth checking out. 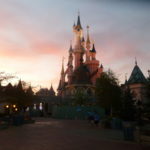 While it may seem extravagant to run in Europe, a trip to Paris from the US can be done for about the same price as Walt Disney World (provided you’re flying to both locations) and offers a far more compelling life experience. Prior to the start of the Half, one of the resort executives teased that additional sporting events will be added to the annual calendar. 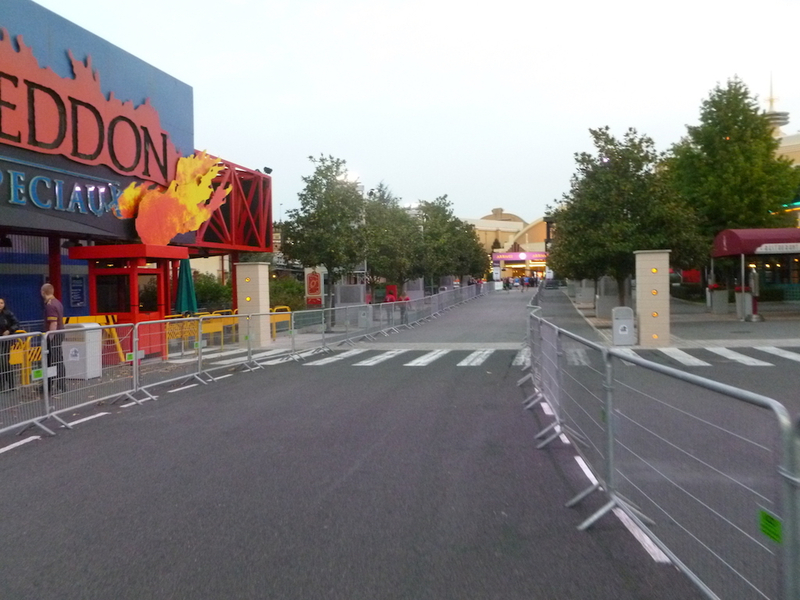 While details are still scarce, it seems that the popularity of the Magic Run Weekend is catching on. Given Disneyland Paris’s recent history of outstanding special events, it seems like this will be a great addition.